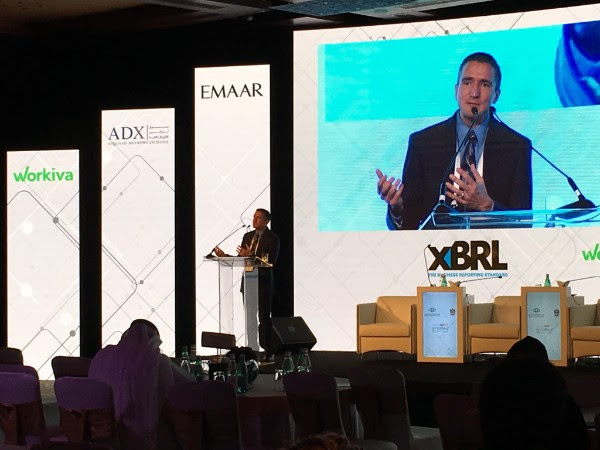 More and more securities markets around the world are shifting to collect data in iXBRL, and thanks to the work of the XBRL community on improving data quality, that data is more consistent and understandable than ever. That said, no matter how much high-quality data there is, it’s not helpful if it isn’t consumable. This year’s Data Amplified saw major advances in the field of data consumption. Workiva, a major Disclosure Management vendor, announced the imminent release of a new, open source viewer that makes iXBRL vastly more accessible to users everywhere. XBRL requires special consumption tools and without those, much of the value and potential of XBRL data is hidden. Last Thursday, Tom Wacha, Director of Product Management at Workiva, and XBRL International’s Technical Director Paul Warren, demonstrated the power of the new viewer to unlock structured data, by exposing the machine-readable XBRL information tagged within iXBRL documents and webpages. The viewer is international, working across jurisdictions, taxonomies and languages. It can display changes within the data and provide a range of definitions. Tables of data can be instantly downloaded into Excel for further analysis and comparison. The tool also uses the data contained in these smart documents to generate graphs on the fly. This is a great time to see this development. Markets around the world – including the US, EU and Japan – are shifting to iXBRL, increasing the visibility of XBRL worldwide. The rise of non-financial disclosures and the highly-designed nature of European financial statements impacted by ESEF will further increase awareness of iXBRL – and Workiva’s viewer will allow these design led-reports to be viewed complete with their integrated, accessible XBRL data. XBRL International would like to thank Workiva for its work in this area. It was a very welcome announcement from the conference sponsor and Sustaining Partner, and the XBRL community is looking forward to being able to experiment with the new code base before long. As we understand it, the tool is undergoing further testing, but will soon be added to a GitHub repository that will allow anyone to use and adapt the code as required.